Metropolitan Transportation Commission (MTC), the regional metropolitan planning organization for the nine counties in the San Francisco Bay Area, launched the Next Generation Arterial Operation Program (NGAOP) in 2014 which focused on Intelligent Transportation System (ITS)-based strategies to improve arterial operations. Similar to the NGAOP, MTC also initiated the Transit Performance Initiative (TPI) Program, which provides financial aid to help agencies implement quick measures to improve transit operations, customer service, and ridership on major transit corridors and systems. The two programs share a common goal of improving traffic flow and transit service along busy arterials. 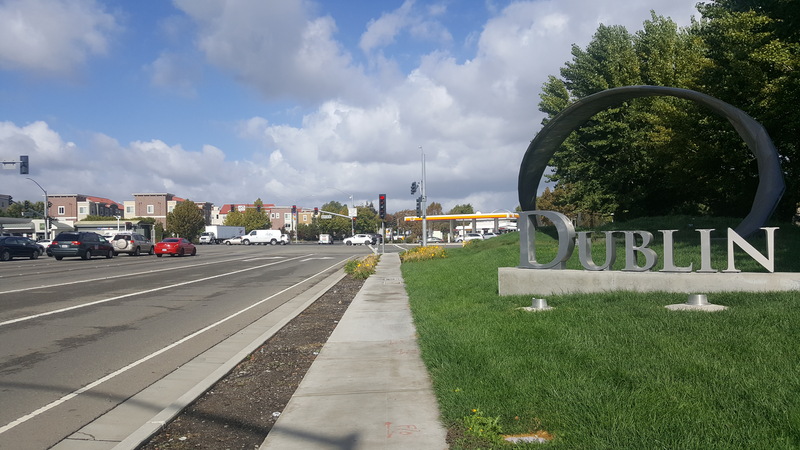 One project selected for the TPI/NGAOP program was to implement ITS strategies along Dublin Boulevard, a major corridor in the City of Dublin, comprising of 17 intersections in the study area. The ITS strategies selected for this corridor included an adaptive traffic control system (ATCS), bus queue jumps, transit signal priority (TSP), bicycle detection, and transit real-time passenger information system. TJKM assisted MTC with a comprehensive evaluation to understand if the implementation of the project meets project and agency objectives. Performance measures used in the evaluation included travel time, travel time reliability, vehicle hours traveled (VHT) and vehicle miles traveled (VMT), minor street efficiency, smooth flow (or Purdue Coordination Diagrams), fuel consumption, and greenhouse gas (GHG) emissions. A thorough benefit/cost (B/C) analysis was also performed, taking into consideration the benefits of the system, initial investment, staff time spent during deployment/implementation phase, and ongoing system operations and maintenance costs. The impact on agency resources, such as agency staff resource needs, training, ease of use, and number of public complaints, were also evaluated. A benefit-cost analysis revealed a benefit to cost (B/C) ratio of 8.9:1 for this project. A benefit-cost analysis revealed a benefit to cost (B/C) ratio of 8.9:1 for this project.